Prince once told us not to hate him ’cause he’s fabulous. But what does it mean to be fabulous? Is fabulous style only about labels, narcissism, and selfies—looking good and feeling gorgeous? Or can acts of fabulousness be political gestures, too? What are the risks of fabulousness? And in what ways is fabulous style a defiant response to the struggles of living while marginalized? madison moore answers these questions in a timely and fascinating book that explores how queer, brown, and other marginalized outsiders use ideas, style, and creativity in everyday life. Moving from catwalks and nightclubs to the street, moore dialogues with a range of fabulous and creative powerhouses, including DJ Vjuan Allure, voguing superstar Lasseindra Ninja, fashion designer Patricia Field, performance artist Alok Vaid‑Menon, and a wide range of other aesthetic rebels from the worlds of art, fashion, and nightlife. 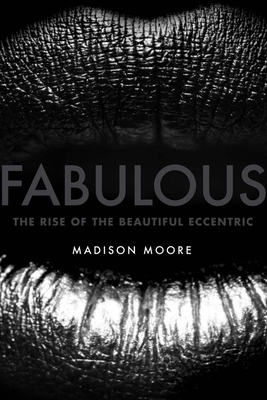 In a riveting synthesis of autobiography, cultural analysis, and ethnography, moore positions fabulousness as a form of cultural criticism that allows those who perform it to thrive in a world where they are not supposed to exist. madison moore, PhD, is a cultural critic and DJ whose writing has appeared in Theater, The Paris Review, Crack Magazine, Journal of Popular Music Studies, Aperture, Thought Catalog, Out, Splice Today, and Interview. Born in Ferguson, Missouri, madison currently lives in Richmond, Virginia, where he is an Assistant Professor of Queer Studies at Virginia Commonwealth University.